Thyroid hormones affect every organ, tissue, and cell in the body. When the thyroid gland is experiencing difficulty, the problems can be felt throughout every system of the body. The functionality of the thyroid can drastically alter energy levels, appetite, metabolism, and more. Fortunately, there are natural hormone therapies that can be helpful for healthy thyroid activity. 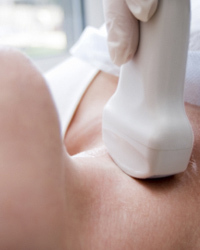 Contact Pharmacy Rx Solutions to find out more information about the thyroid.